India Thursday urged the US to take a "balanced and sensitive" view on the issue of proposed changes in America's H-1B visa policy, saying it could effect the people-to-people links that are crucial for energising bilateral ties. 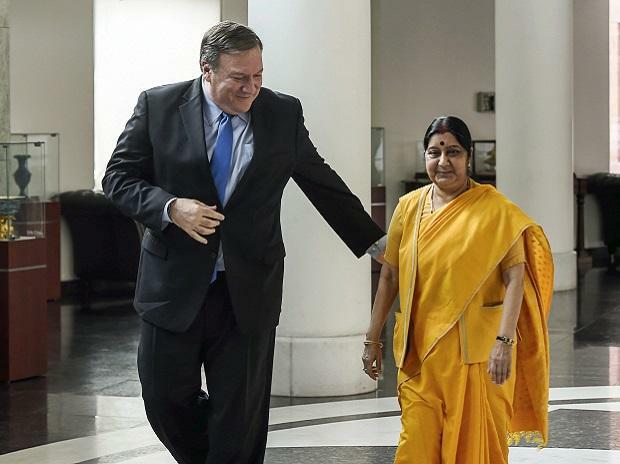 During the first 2+2 dialogue between the two countries, External Affairs Minister Sushma Swaraj sought US Secretary of State Micheal Pompeo's support for nurturing people-to-people exchanges. 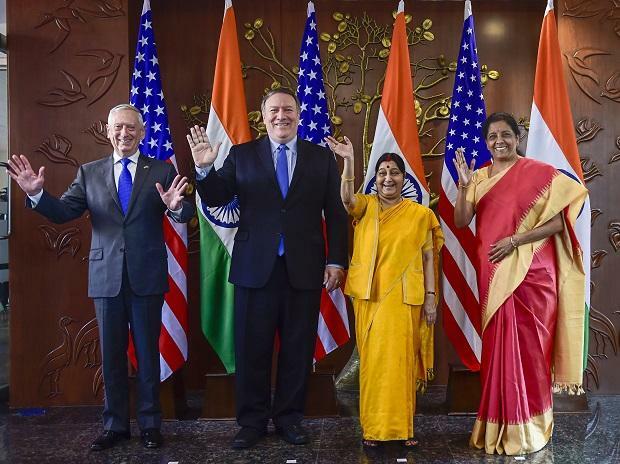 Defence Minister Nirmala Sitharaman and US Defence Secretary James Mattis also took part in the talks. Addressing a joint press conference, Swaraj said, "I have requested Secretary Pompeo to adopt a balanced and sensitive view on the issue of proposed changes in the H-1 B visa regime as this could effect the people-to-people links which are important for energising ties." She said that in view of the friendship between Prime Minister Narendra Modi and President Donald Trump, Indians feel the US will not do anything against their interests. "I have asked him (Pompeo) that he should make sure that people continue to have this confidence," she said. A joint statement issued after the talks said the ministers highlighted the unmatched people-to-people ties between their countries and recognised the benefits to both nations and the world from these ties, including the free flow of ideas and collaboration in health, space, oceans, and other areas of science and technology. Technology companies depend on it to hire tens of thousands of employees each year from countries like India and China. The US, however, had recently extended by over five months the temporary suspension of premium processing for H1-B visas as part of its efforts to clear the backlog. The H1-B visa has a numerical limit cap of 65,000 each fiscal year as mandated by the US Congress. The first 20,000 petitions filed on behalf of beneficiaries with a US master's degree or higher are exempt from the cap. According to the US Citizenship and Immigration Services (USCIS), between 2007 and 2017, it received the maximum number of 2.2 million H-1B petitions from high-skilled Indians.